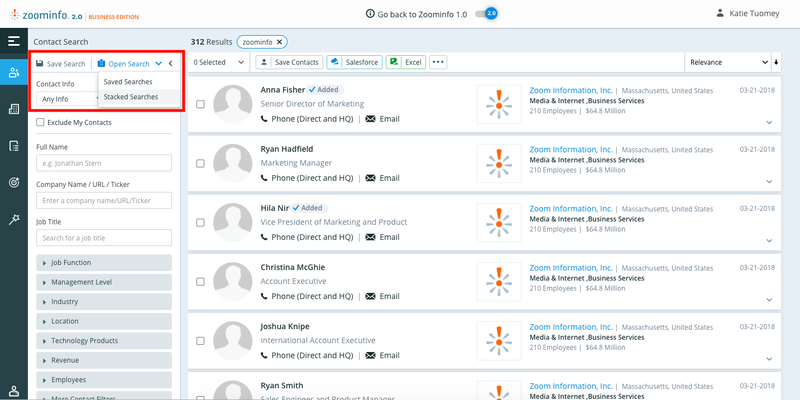 Searching technologies in an expanded contact card is a great new addition to help you get more information about your companies and contacts. The Stacked Searches workflow updates will really help those who have complex searches that require multiple different sets of filtering. To make this more organized, we have separated save search and open search. 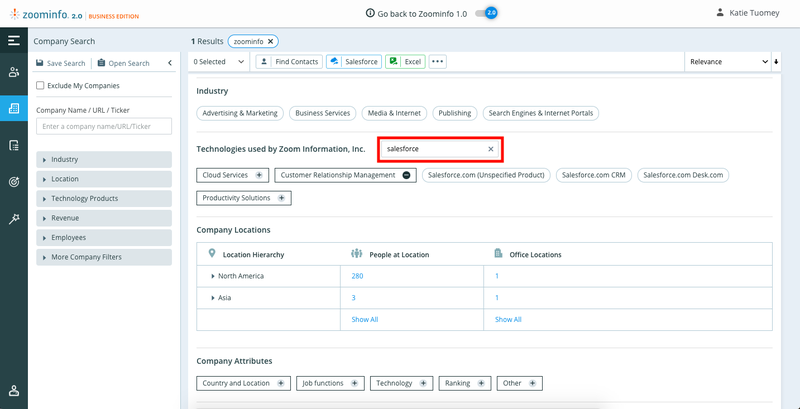 Within open search, you will have the option to open a saved search or to create a stacked search from multiple saved searches. 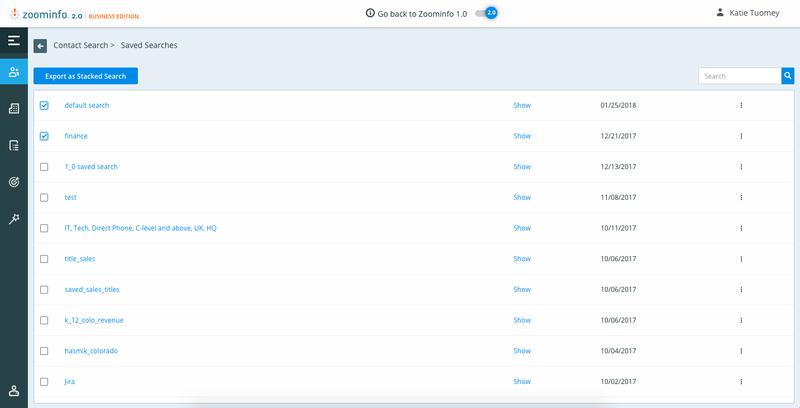 Once you open stacked searches, you will see all of your existing saved searches and will be able to check off which ones you would like to export, and then select the export button. 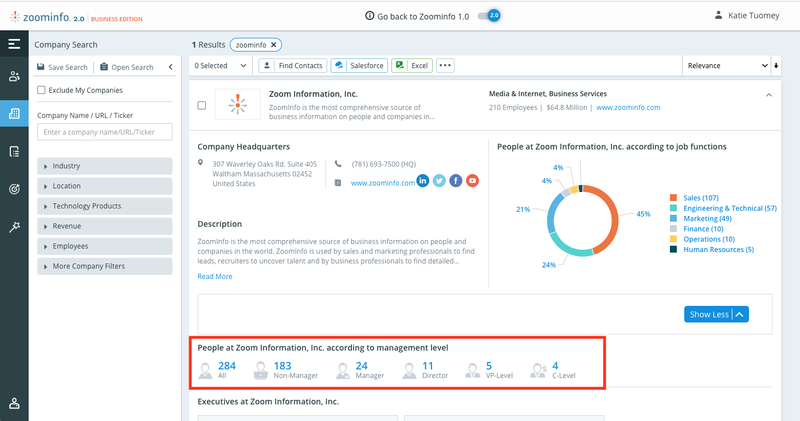 The "All" button under management level is another great way to quickly find the right contacts once you zero in on the companies you want to target.